Author and educator Tzivia Gover believes that writing can and should be fun, easy and deeply satisfying. Her favorite students are the ones who say:“I can’t (or won’t or don’t) write.” That is because she knows that everyone can access the magic and joy of putting pen to paper for self-expression, healing, communication and discovery. Through her workshops, Tzivia shares original, inspiring and energizing exercises and techniques she developed while teaching poetry to at-risk youth and adults in literacy settings. Her workshops are accessible to people with all levels of experience. Tzivia is the author of Joy in Every Moment (Storey Publishing), and Learning in Mrs. Towne's House (Leveller's Press), among others. 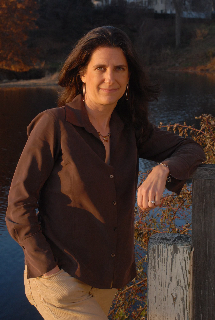 Her articles and essays have appeared in numerous publications including The New York Times, The Boston Globe, Creative Nonfiction and The Christian Science Monitor. Tzivia received her MFA in creative nonfiction from Columbia University. Tzivia has been a teacher and workshop leader for over 15 years. She designs workshops and classes to fit the needs of business, community and educational groups. She has designed and led workshops for Esalen Institute, Smith College, Holyoke Community College, University of Massachusetts, and various Massachusetts Department of Education funded literacy programs, among many others.